- For me engineering is the most interesting part of my hobby. 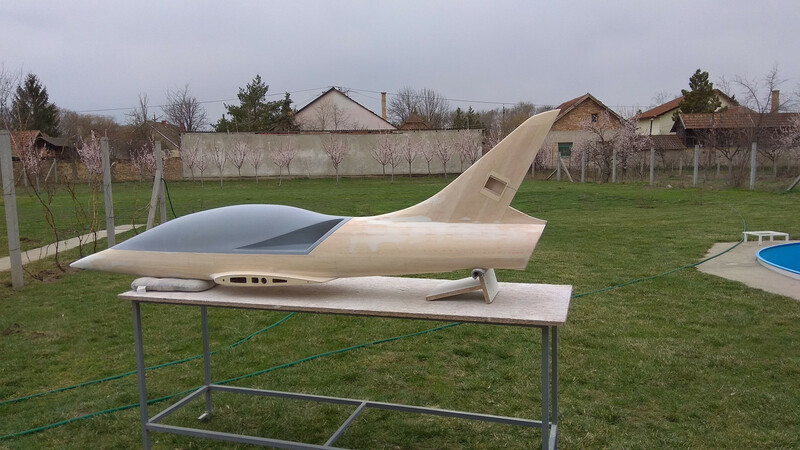 After engineering F100, F104, F86, T33, blackbird and some sport jet (for third person) I decided to make a new project, a new sport Jet. 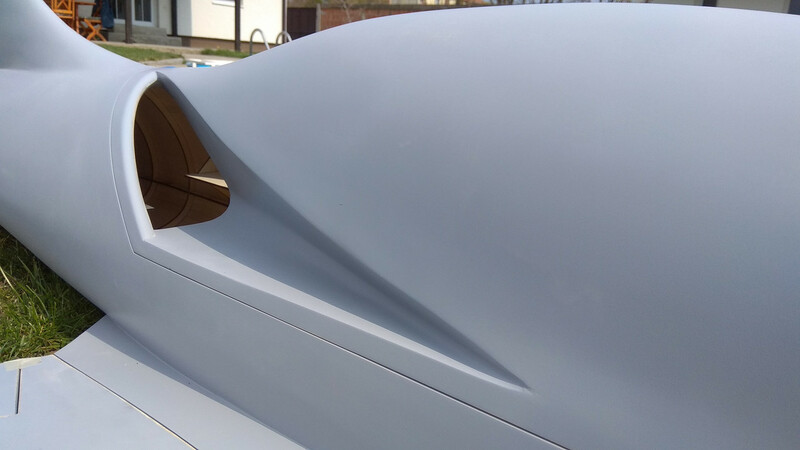 No limitations of airfoil, design, inlets, dimensions, no hand made lines from customer has to be run after. I was really free to design what I want. Hard was the idea to totally exit from the lines who market offer, but I try to do it. Obviously some limitations are considered: shape of wood model has to be made considering the building technology. Engineering a master to made a mold is easier, no shape limitation, you have only to e be sure about under square. This is the result: the NEXT. The project starts at 2018, but finally defined only last days of January. About 400 hours to define shape and parts. And I’m not a person who sleep…. 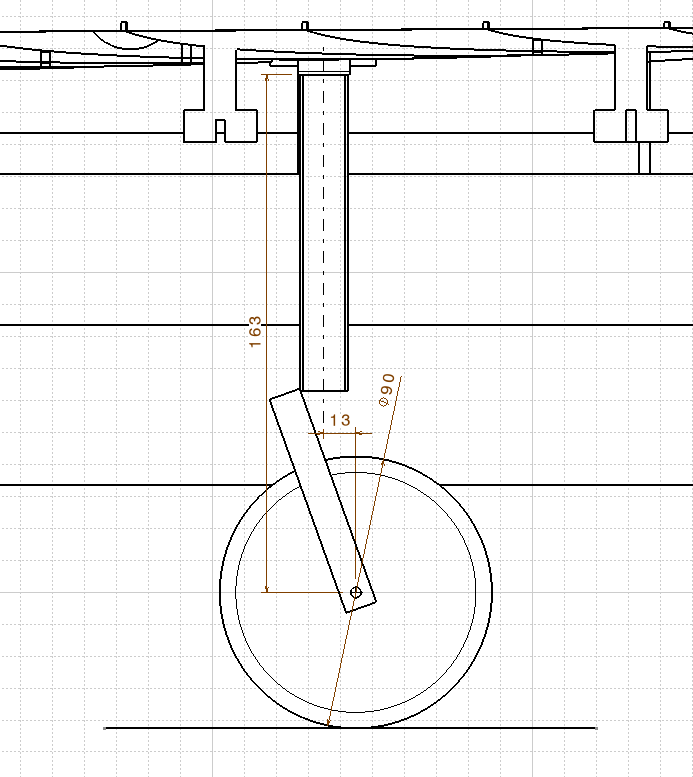 Technical specifications was made before starting to draw the shape, many fixed points has to be respected. At the end all specifications was respected. The biggest doubt, taken in account in the first part of the engineering, was the inlets. I never see something like that…. Why? 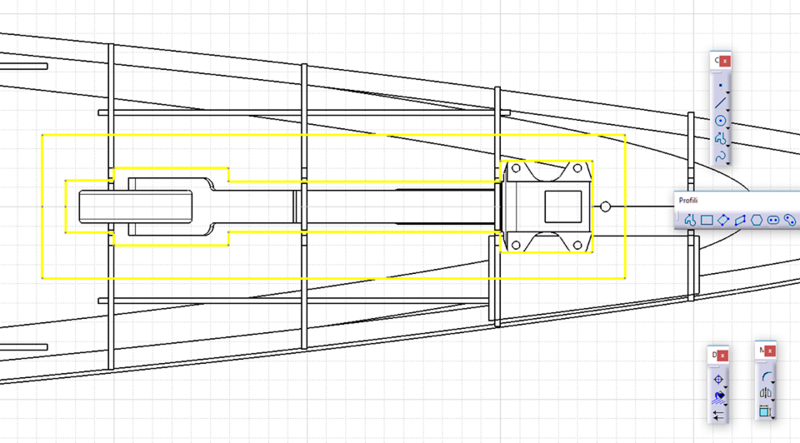 After a lot of discussion with most engineers and some calculations I decided to use that shape. No one real and numerical significant contraindication was find, only a lot of word from the “experts”, without numerical demonstration. Practice demonstrated that model respect the physic and not the word. Inlets are totally neutral in any flight phase at all speed range. During first flight I immediately understand that all target was reached, the flight characteristics was exactly what I plan. 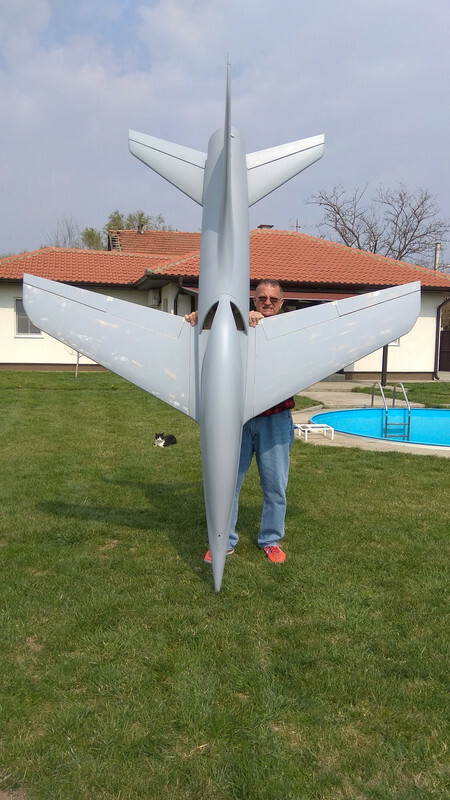 I’m really very happy, this is the best performance model that I have ever flown in over 20 years of jet model flying!!! span: 2200 mm / 86,6"
Length: 2650 mm / 104,3"
Price for short wooden kit is 395,00 Euro. Shipping is not in kit price, worldwide shipping cost 90,00 Euro. Payment is with Pay Pall service (+ 4,5% fee on total price). 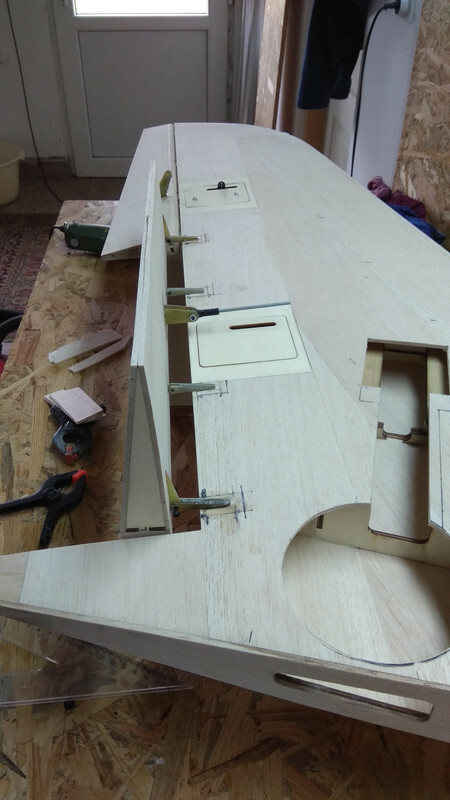 * you must have wing joiner tube when made fuselage & wing for alignment!!!!!!! 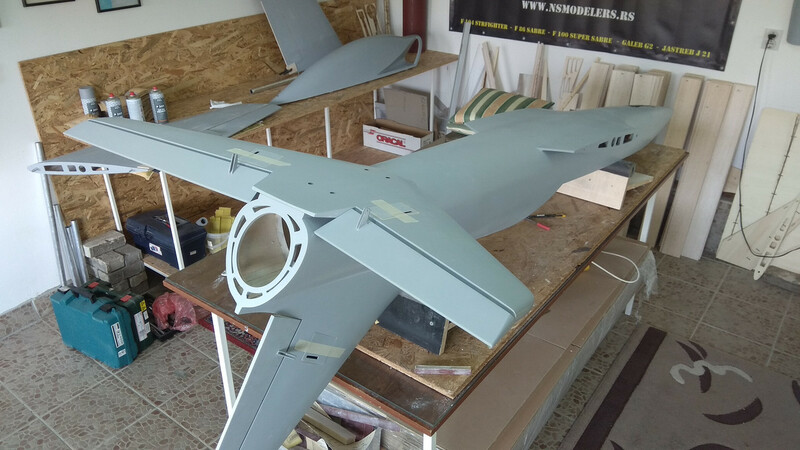 "Mirce models" offer you the option to buy a model finish in primer, ready for painting!!! Price for this option is 1595,00 Euro. "NEXT" is another example of Damiano's great design and engineering. 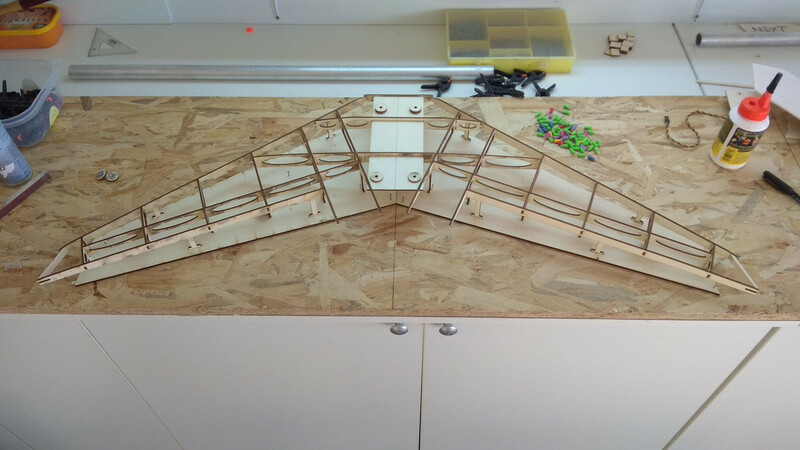 The frame construction is from a 3 mm poplar ply, and for sheeting we used 3 mm balsa. 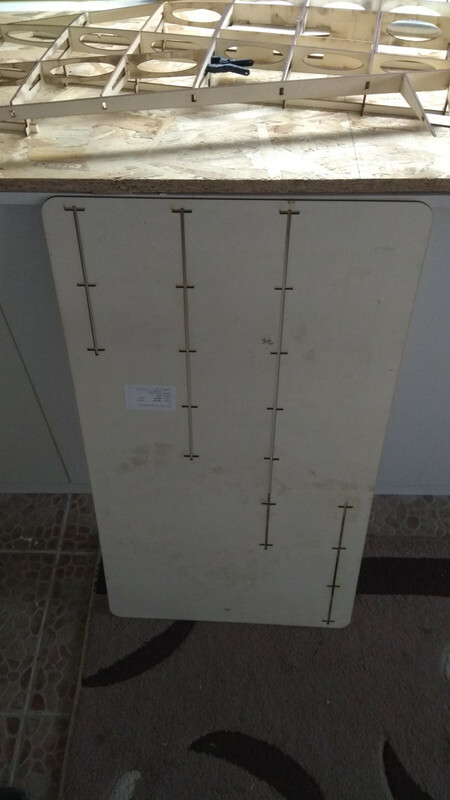 Like any Damiano's design, for NEXT there is no need for paper plans, the pieces fit like a Puzzle and you can not turn around or otherwise set up parts as they can. 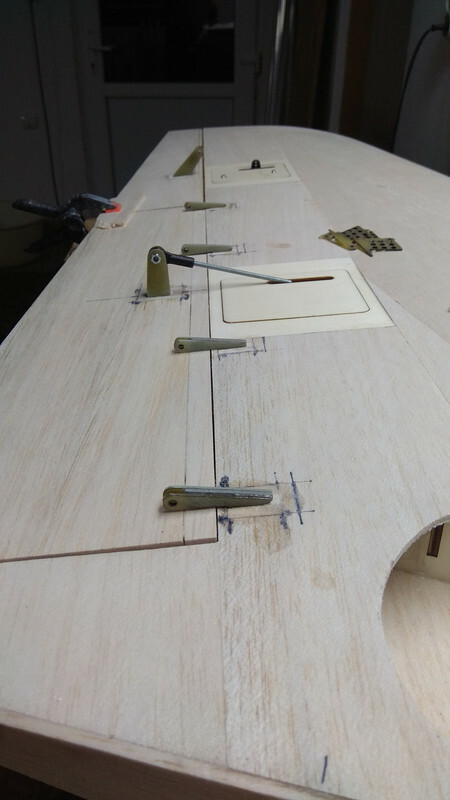 Before bonding the parts, assemble the first whole part, for example, the wing. This is important to see in which order parts are placed. 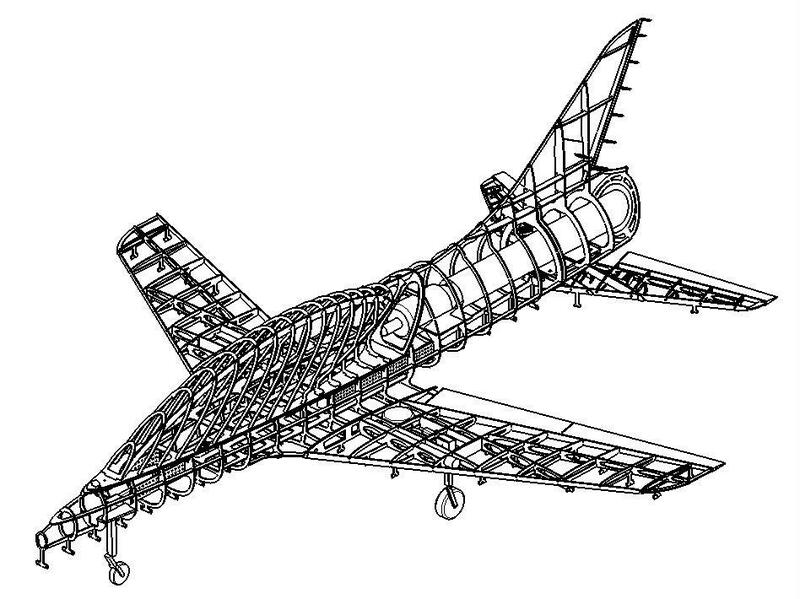 You must put aluminum tube in construction during wing & fuselage building!!! For gluing use white (carpenter) glue!!! 5 minute epoxy you need only when glue G10 hinges and horns in the position & 3D printed "nose" on front of the fuselage. The complete model is coated with 18 gr glass fabric & epoxy resin. 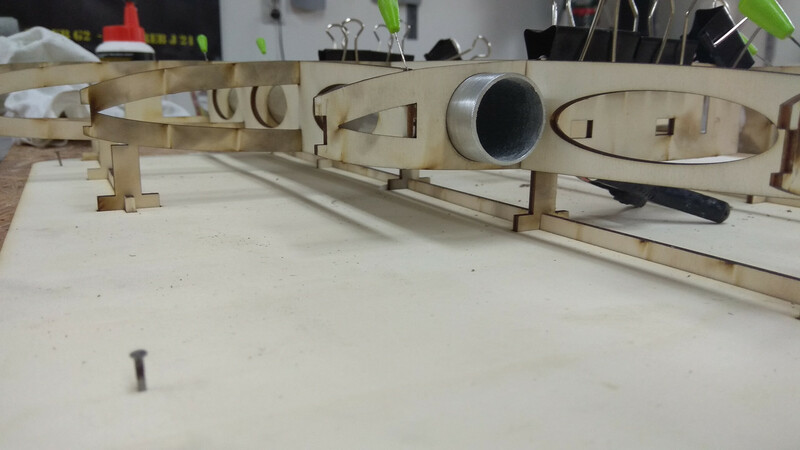 With wooden kit we send PDF files of model parts, for easier assembling. 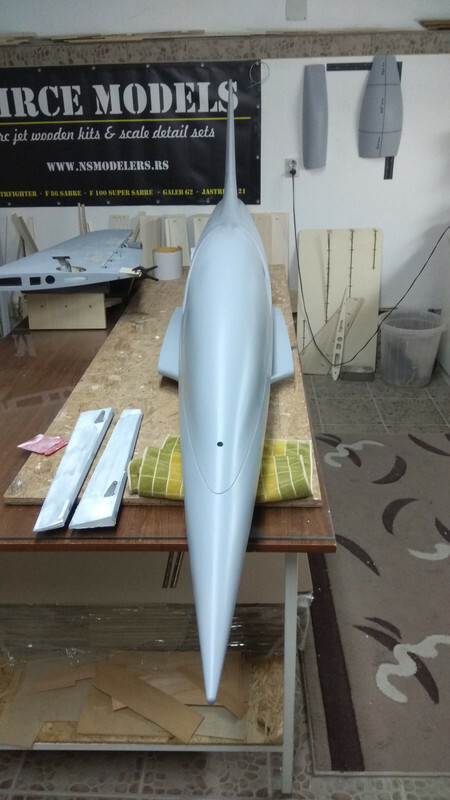 Also, guide are many photos made during building first "NEXT" jet model. 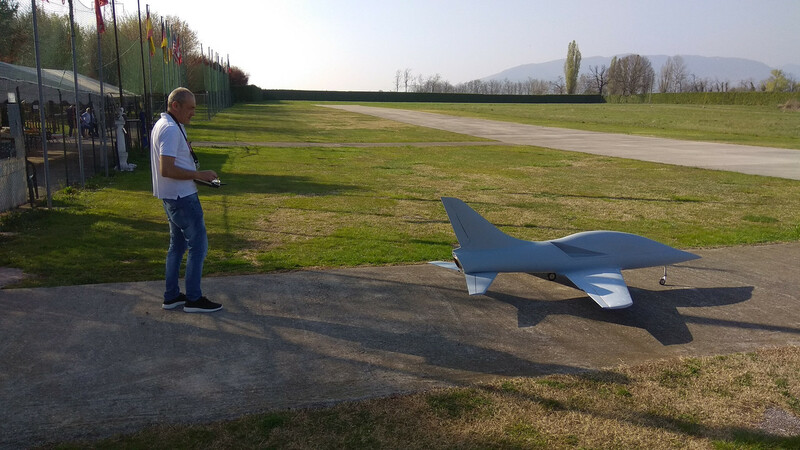 It is important to note that the complete model is designed in a 3D program, structural strength is designed for far greater force than the load in flight. NEXT is extremely strong, while the weight remained relatively small for this size acrobatic plane. 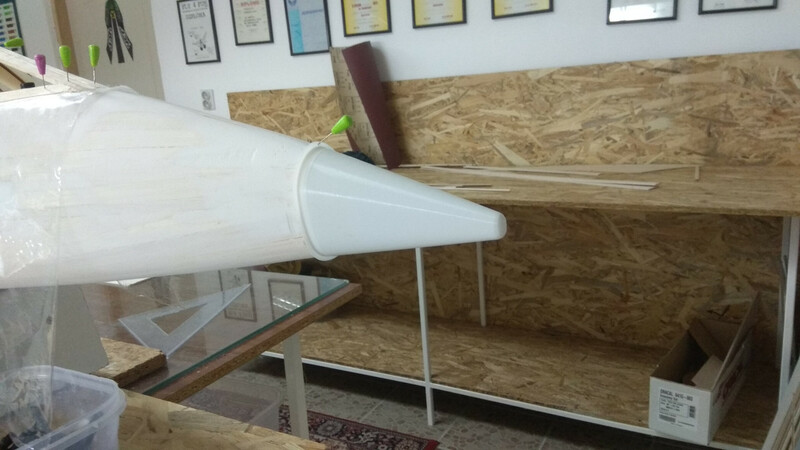 For the first flight, the turbine's thrust was about 8 kg, and then, for testing purposes, thrust is increased to 10 kg was increased. The differences were almost absent, except that the maximum speed increased from 215 to 229 km/h. 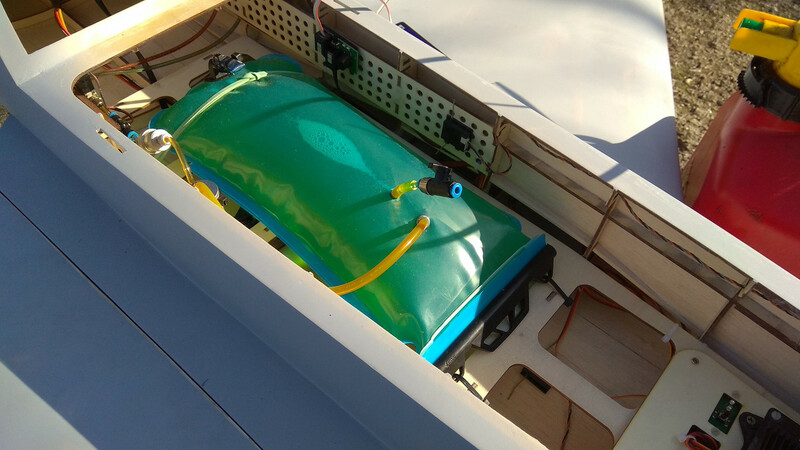 The idea for this model is to use a smaller turbine with less fuel. 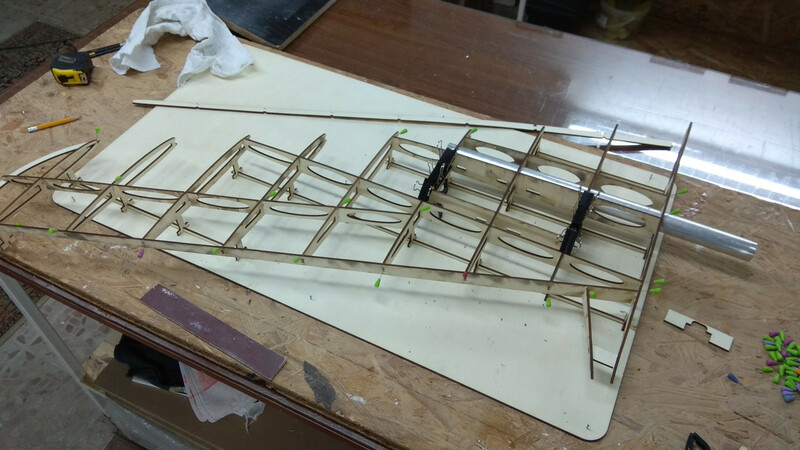 For easy building, we designed special templates for making wings and horizontal stabilizer. With them each part is placed in a precisely defined place and the workmanship is fast and very precise. 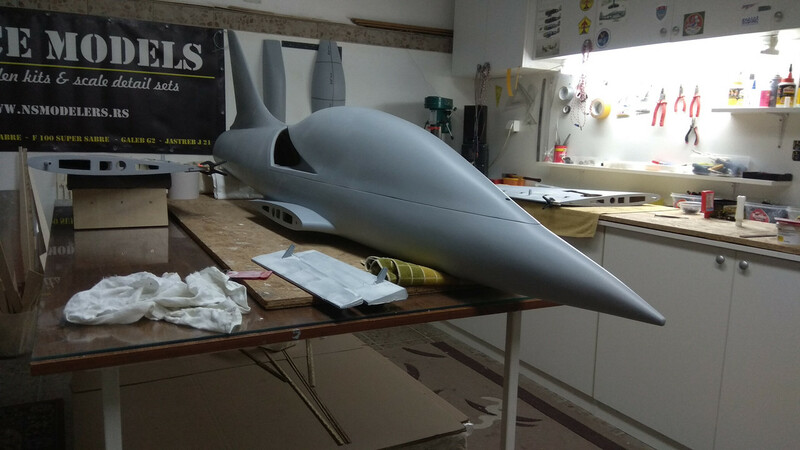 Model is easy for transport, wing is from two pieces (wing joiner is 30 mm aluminum tube / 2 mm wall) and elevator is removable also. Huge canopy allows easy installation of equipment. 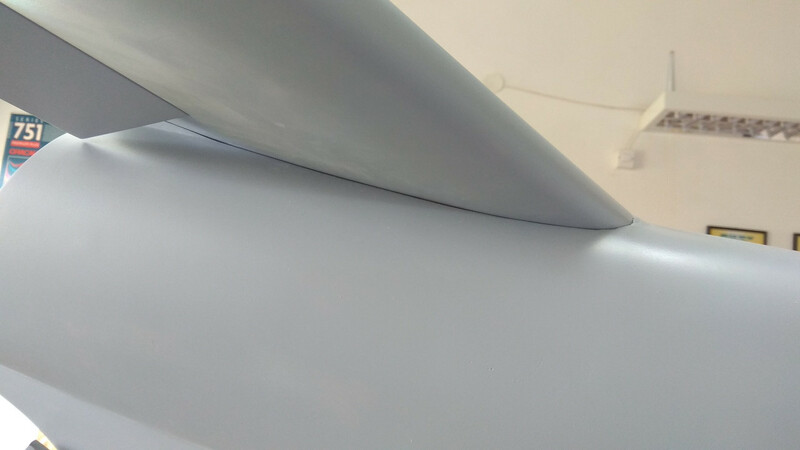 Bottom fuselage side is extremely attractive with smooth transitions from one form to another. 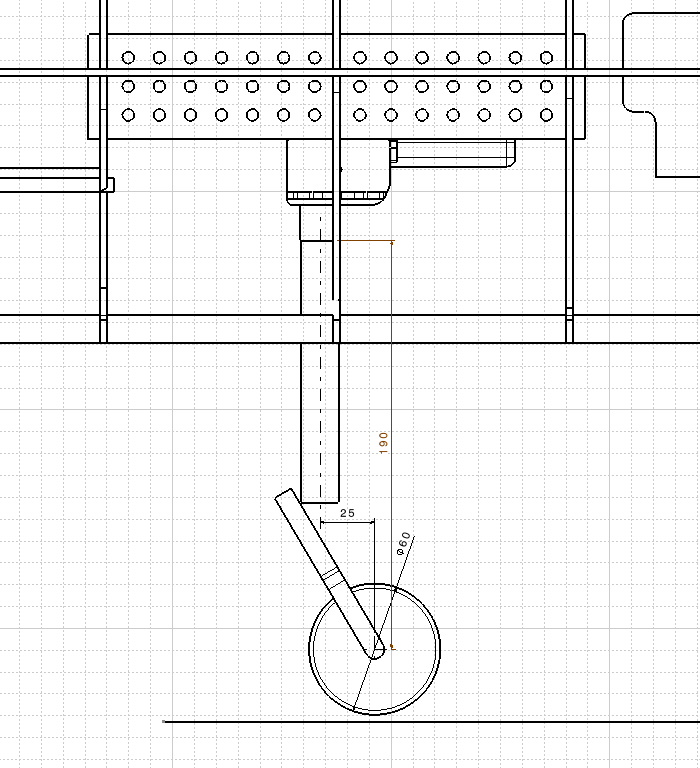 On 3D drawings was used Electron E40 landing gears with "legs" and wheels from the same company. 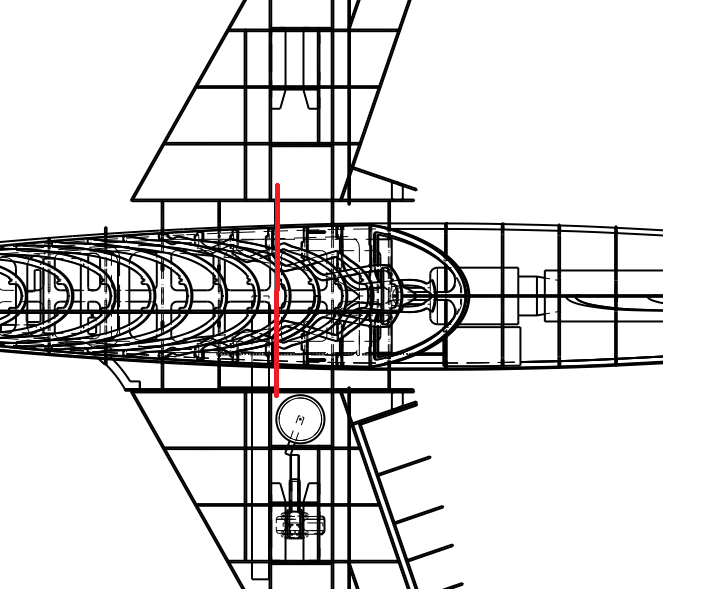 Position on bottom fuselage side for front landing gear opening. Drawing for CG. 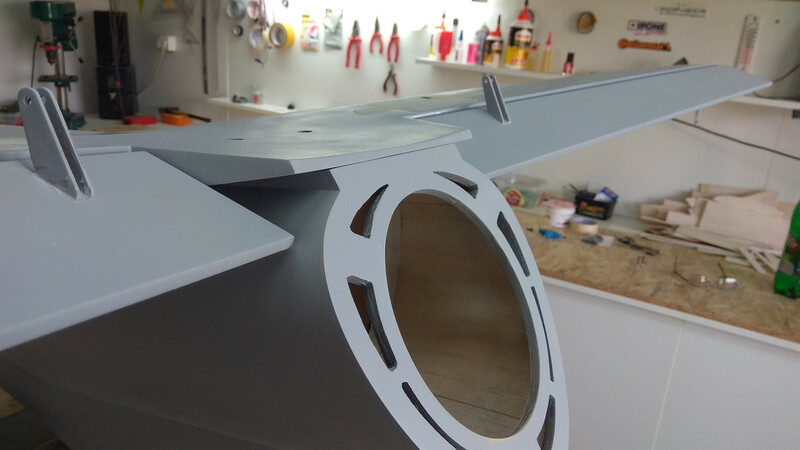 CG is little behind of the aluminum wing joiner. Hinges & horns are from "Mirce models" set. 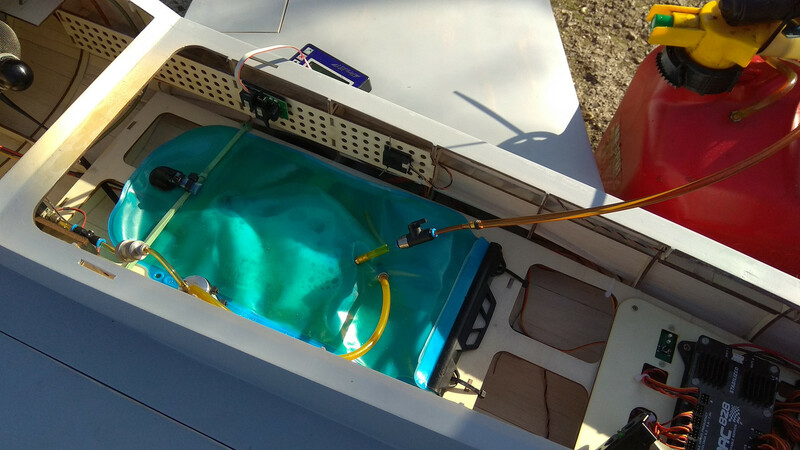 Fuel tank solution is unusual, a "camel bag" of two liters was used, without UAT tank. 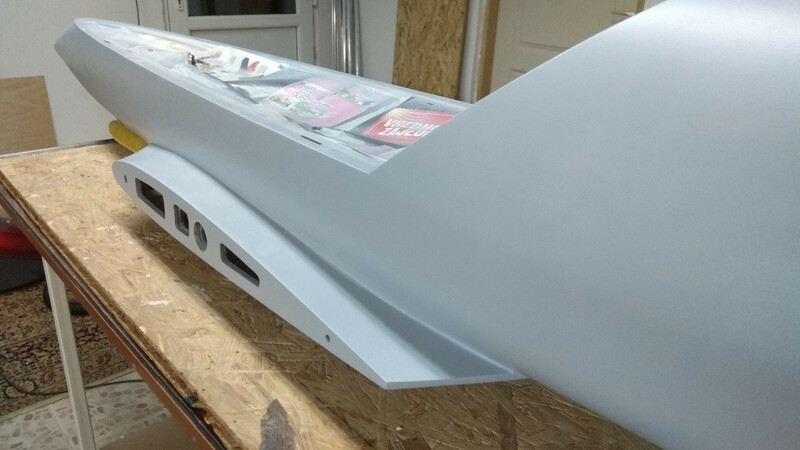 Of course, you can use any other tank, fuselage is huge, so no problem to install it inside.